Today’s article is directed at first time scooter buyers interested in a complete scooter and their options. If you are interested in a part by part breakdown, make sure to check out our previous parts article. When you’re first thinking of getting a scooter it can be hard to know which one to choose. To help Lucky makes four types of already complete scooters, the Crew, the Strata, the Kota Sig, and the Clover. You also have the option to customize a scooter. The custom scooter option is great if you know what colors and parts you might want that don't come on the stock completes. Another bonus is that they come already assembled! All you have to do is attach the bars and go ride! First, figure out your price range. Lets say you only have $200 bucks to spend. Then the Crew is going to be the scooter for you. As an example, the reason that the Clover costs more than the Crew, is because its designd for a larger rider so it needs to be bigger, stronger, and have better parts on it. That doesnt mean the Crews are bad though. They are just differnet and each worth the money. Then find out your height. Lets say you’re 5 feet tall. Most likely the crew is going to fit you the best. Theres no real “height chart” when buying a scooter, its whatever you like most. I made a little height chart of my own for you to look at and get an idea of what scooter MIGHT fit you best. Keep in mind tho, its whatever you like! Some people like small bars others like big bars. Custom scooter - Can customize the bars so you can buy this at whatever height! This is very important, its your choice! If you really want the grey on black clover complete, get it! 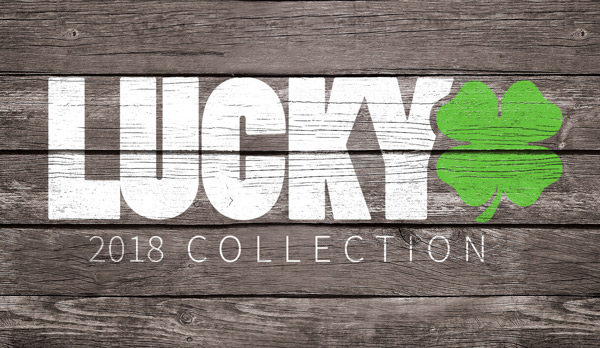 Every scooter Lucky sells is top of the line and you won't be disappointed with any of them. Just remember, any of these scooters will get the job done! Allow me to recap for you. CREW - Meant for the younger and starting out rider that might just flow around the park dropping into things and doing only tailwhips. STRATA/KOTA - Meant for a typical rider that wants to get into scootering. A great scooter to do anything from tailwhips to buttercups on. CLOVER - Meant for an older stronger rider. Someone who will have no problem dropping in or learning the basics. This scooter and withstand the gnarliest of street rails. Keep in mind, if you really want to get a scooter fit perfectly to you, get a custom scooter.